With the Rugby Six Nations, Cricket World Cup and Champions League football tournament currently in full swing, March is an exciting month for every sports fan. You've got your tickets to the game and you're all set to drive to the airport car park or take a campervan road trip with your pals. If you're planning on a campervan road trip with you and your pals to the city centre car park it's best to check if the size of your vehicle is accepted to avoid frustration. The information can be found on our website, either through the car park's page or when you go through the booking process. If you still have questions or need any further help, contact our customer services team and we'll assist you with whatever you need. Remember to have the height and length of your vehicle to hand whenever you contact us. Hoping your team will go all the way to the final? Then you may need to park your car for a number of weeks. 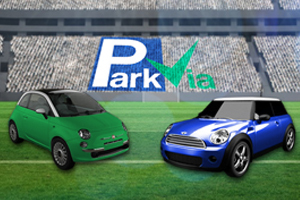 On the ParkVia website you can compare long as well as short stay prices for car parks. Just select the dates and times you require and choose the one that suits you best. So remember, get your parking game plan right before your travel and Choose parking with ParkVia.